Love this lipstick! I want it. 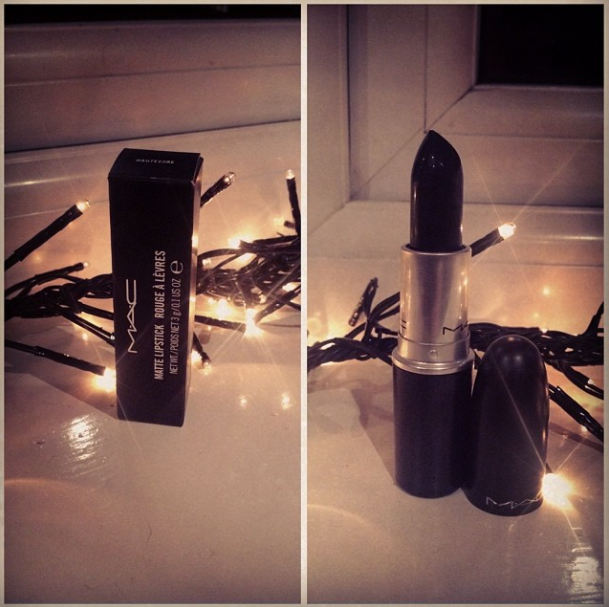 Such a beautiful lipstick, it looks lovely and gothic! That lipstick rocks! I love it! You remind me so much of Helen Bonham Carter. Oh that looks fantastic on!! Not something I'd ever normally think about letting near my face but you're rocking it. This really suits you! Never considered such h a dark colour before! I'd never have the confidence to wear such a dark colour, but it looks fantastic on you! You go girl! !